Almost from the day I first met José Ralat-Maldonado of Taco Trail fame, he's talked of bringing his love of tacos and beer together. He's already accomplished this feat on some level, what with his involvement in the TacoCon (Cerveza) festivities a few weeks back at Four Corners. 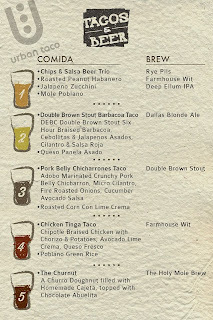 What he expressed early on, however, was a desire to introduce tacos into the beer dinner arena. It would appear as if that day has finally come, with the announcement of just such an event at Urban Taco. 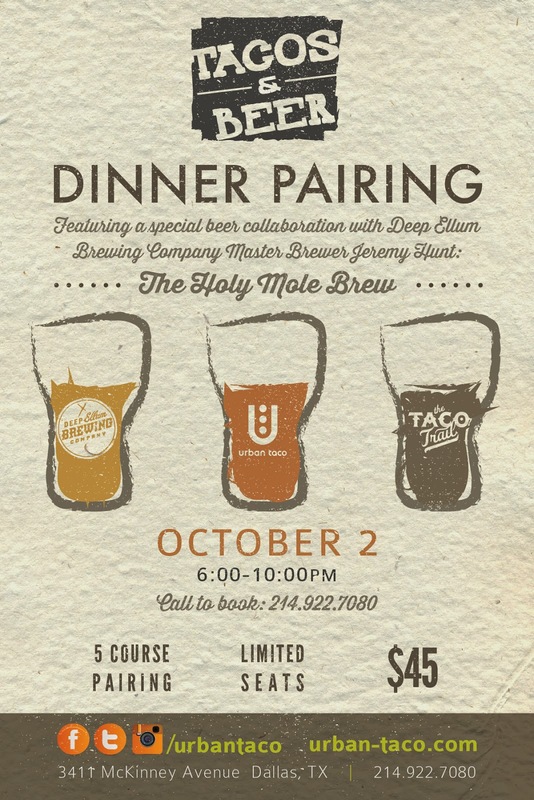 "Urban Taco, Deep Ellum Brewing Company and Taco Trail have joined forces to bring Dallas "Tacos & Beer" [on] October 2. This one night only experience will feature beer-inspired dishes including Urban Taco classics and new items created specially for the event paired with DEBC's local craft beers. Urban Taco and DEBC collaborated to create an exclusive brew available only on the night of the event, the Hole Mole Brew, a tribute to Urban Taco owner Markus Pineyro's mother's mole poblano recipe. DEBC Head Brewer Jeremy Hunt has infused the beer with seven chilies, Abuelita Mexican Chocolate, Mexican Coca-Cola, and additional secret ingredients. The Holy Mole Brew will be served with the grand finale dish and a brand new Urban Taco feature, the Churnut, a churro doughnut filled with housemade cajeta topped with chocolate abuelita." 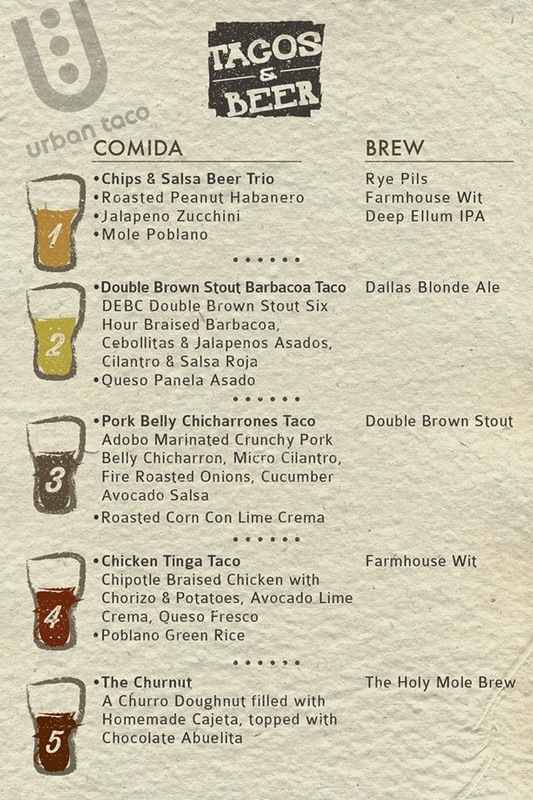 Tacos & Beer will be held at Urban Taco's McKinney Avenue location in Dallas. Your admission price of $45pp includes beer and food pairings, along with a custom commemorative pilsner glass. Tickets are available on Eventbrite.